Two other Pokemon Go Fests will be held in Dortmund, Germany and Asia this summer. 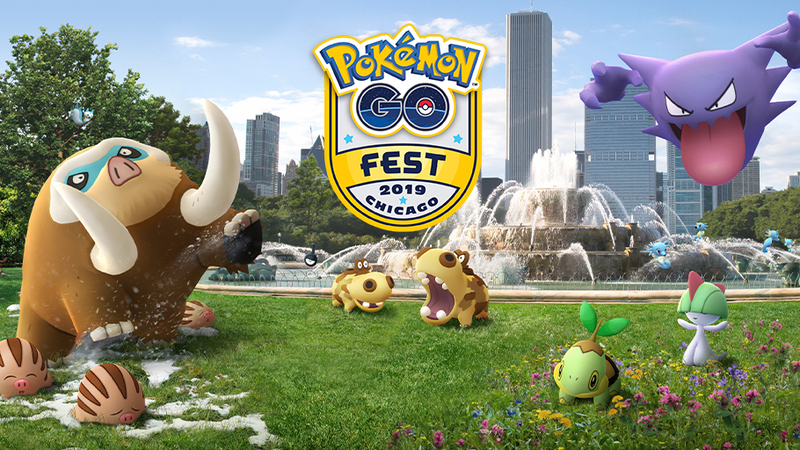 For the third year in a row, Pokemon Go Fest will take place in Chicago this summer. While previous events took place in July, this year’s event will be held in June, from June 13-16. The event will take place in Chicago’s Grant Park, and hopeful attendees will need to purchase a $25 ticket to attend (they aren’t on sale just yet). Players can only attend one of the four days, but the experience will be the same on each one. By preventing trainers from attending the event on more than one day, the game’s developer, Niantic, will allow more players to experience the fun. While details are still under wraps, we know that Pokemon Go Fest will allow attending trainers to complete Special Research tasks to win in-game rewards (last year, players could earn a chance to capture the mythical Pokemon Celebi). Attendees will also be able to take pictures of their Pokemon at special photo opportunities around Grant Park, and hang out with other trainers in six team lounges based on the game’s three teams: Instinct, Mystic, and Valor. Even if players can’t attend the event, special challenges will allow trainers around the world to work together during the event’s timeframe to unlock in-game prizes for the entire community. Following Pokemon Go Fest in Chicago, the “Pokemon Go Summer Tour 2019” will continue with another Pokemon Go Fest event held in Dortmund, Germany from July 4-7. A Pokemon Go Fest event will also take place somewhere in Asia this summer, but additional details haven’t been announced about that event. Finally, Niantic revealed the dates of four upcoming Community Day events, so players can plan ahead. While we don’t know which Pokemon will be featured in each Community Day event, we know events will take place on May 19, June 8, July 21, and August 3. The next Community Day event, starring Bagon, will take place on April 13.